Rehona graduated with an Honours Bachelor of Science with High Distinction in the spring of 2019. Throughout her undergraduate career, Rehona has studied the field of Nutritional Sciences passionately and diligently, and received several academic awards, including the Annie L. Laird Prize in Nutritional Sciences, Society for Chemical Industry Canada Student Merit Award, and Dorothy Whiting Scholarship in Nutritional Sciences. Rehona was first exposed to research in 2015 at the Peter Gilgan Centre for Research and Learning where she contributed as a volunteer researcher for the BrainWorks Study under the supervision of Dr. Susanne Benseler. In this role, Rehona conducted data collection from patient health records to improve our understanding of the clinical manifestations of various inflammatory brain diseases. In 2018, Rehona received an Undergraduate Research Opportunity Program Award that supported her research under the supervision of Dr. Valerie Tarasuk at the Department of Nutritional Sciences. In hopes of improving public health knowledge, Rehona has investigated the impact of recent changing regulations permitting voluntary food fortification on the micronutrient content of various foods on the market. She presented her findings at the 2018 Department of Nutritional Sciences summer research poster competition, for which she received an award. Rehona describes this experience as her inspiration to engage in scientific research throughout her post-undergraduate career. Apart from her involvement in research, Rehona is actively engaged in the community. Over the past four years, she has taken on various mentorship positions at Big Brothers Big Sisters Toronto and Victoria College to break the barriers faced by youth in achieving their personal goals. 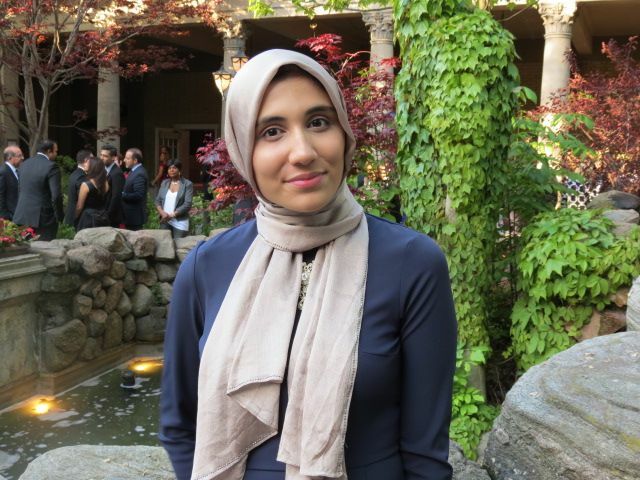 In her fourth year, Rehona was the co-president of World University Service of Canada at Victoria College where she raised awareness about the barriers refugees face in obtaining education, and supported a refugee student in pursuing their studies at UofT. She recently received grants to build a basketball program for newcomer youth to promote physical and mental health, and continues to develop it. As a resident of social housing for 20 years, Rehona has witnessed and experienced the impact of various social determinants of health. These experiences have shown her the importance of understanding and addressing the unique needs of inner city communities, and continuously improving healthcare systems to handle the evolving healthcare issues in our society. Given her interests, Rehona hopes to pursue a career in medicine and join the variety of professions and community members who work towards improving population and individual health.